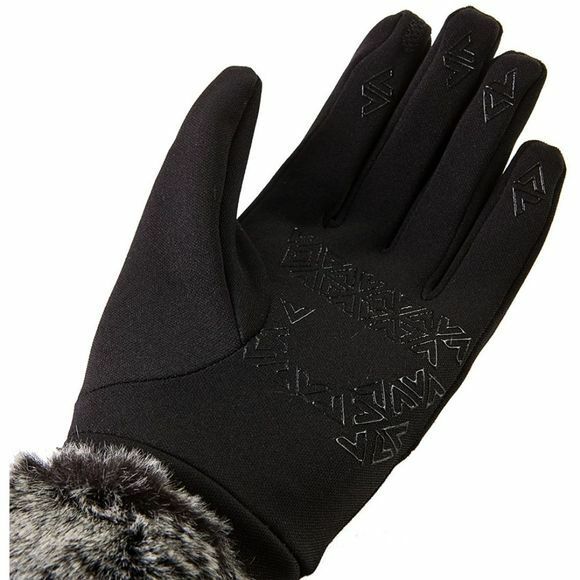 The Women's Stretch Fleece Nano Lux Glove from SealSkinz is a warm and stylish glove that is quick drying and comfortable whether you use it for outdoor adventures or cold city breaks. The stretchy fleece sits closely to the skin to trap warm air and has been treated with NanoSealz water repellent treatment to help keep them dry in light drizzle. They are quick drying if they do get wet and the double cuff features a faux fur trim to keep in line with trends.